As Discovery News, Fox News, The Guardian, The New York Times and others have reported, twin satellite probes named Ebb and Flow that have been circling the moon on a low-altitude gravity-mapping mission for about a year were sent crashing into the lunar surface at 5:28 p.m. Eastern-U.S-Earth time on Monday, 12/17/12, bringing a successful mission to a successful close by crashing exactly on target: at a site carefully selected by NASA scientists to leave existing American and Russian historical lunar sites undisturbed and create a new one named in honor of astronaut Sally Ride. Watch the finish the way NASA scientist experienced it in the video above. See more videos here, here and here. See a fascinating map of the moon’s strange gravity fields here. The annual Geminid Meteor Shower is always a good show, astronomers say, and this year’s could be amazing, peaking at as many 100 meteors an hour Thursday night (Dec 13/14) and made easier to view by lack of moonlight. Even city folks should be able to catch a few shooting stars, experts say, especially in the northeast, and skywatchers could be treated to a second, smaller shower before the big one begins—not promised, but possible. By Elizabeth Weise, USA Today (12/12/12). After first hinting, then trying to quash ru-mors that rover Curiosity has found organic compounds of the type essential to life on Earth in Martian soil, scientists now admit it has but warn that these compounds could have come from Earth via Rover or been left by a meteor strike, so don’t get too excited yet. By Brian Vastag, Washington Post (12/3/12). See a slideshow of 40 photos Curiosity has taken of Mars here. The biggest giant sequoias in California’s Sequoia National Park is still General Sherman. The second largest, until recently, was General Grant. But new measurements indicate that the President, formerly Number 3 (named in honor of Warren G. Harding) is now bigger: 93 feet across, 54,000 cubic feet in volume (trunk, branches, leaves) — 3,240 years old and still growing. Associated Press, Washington Post (12/1/12). Read National Geographic’s Dec 2012 feature on these giants and enjoy great NatGeo photographs here. Did Dinosaurs Roam the Grand Canyon? The prevailing opinion is no, dinosaurs vanished long before the Colorado River cut the canyon some 5 to 6 million years ago. But a team of researchers say in a new study that mineral evidence suggests the western canyon (left) could have been cut by an ancient river some 70 million years ago— meaning dinosaurs living in the canyon’s then tropical region might have walked its rim. By Sid Perkins, Science (11/29/12). Read more here, here, here. Immortal Jellyfish Spreads to U.S. In 1988, a young German researcher found a tiny jellyfish off the Italian Riviera that didn’t die. Instead, it got younger, then older, then younger…. Nobody jumped on the finding then to see what this jelly, so genetically similar to us, might reveal about human aging. Now, Japanese scientist Shin Kubota is doing just that. Meanwhile, the jelly has spread to Florida, Panama, Spain and Japan, where it may or may not thrive. (In some ways, it’s quite fragile.) By Nathaniel Rich, NYT Magazine (11/28/12). The Star Jet Roller Coaster sat on a pier in SeaSide Heights, NJ before Sandy hit. Now it sits in the ocean, where Mayor Bill Akers suggested keeping it as a tourist attraction (and artificial reef). Cool idea if it could be done safely, but apparently it can’t. Too bad. View an especially beautiful photo and buy a print to support Sandy relief here. See more Asbury Park Press before-and-after-Sandy photos and videos here. Has Rover Curiosity Found Signs of Life on Mars? Those space scientists, how they like to tease. In an 11/20 interview with NPR’s Joe Palca, Chief Mars Scientist John Grotzinger said Mars Rover Curiosity found something earthshaking in a soil sample but won’t say what until he’s sure. The buzz is that Curio-sity found organic compounds of the kind crucial to life on Earth and that Grotzinger will announce it next month. Listen to the inter-view here. Learn more here and here. This is the trailer for a new film that follows NatGeo photographer James Balog and his Extreme Ice Survey team as they travel the world, working in the Arctic and other harsh, remote parts of the planet, doing what the film’s title says: chasing ice, or what’s left of it, and documenting how swiftly it’s disappearing. The film is showing now in NYC and other locations. Learn more here. For a quick sense of what’s happening to our planet’s glaciers and ice packs, view the before and after images here. This video captures an eruption that occurred on 11/16 of a type so massive scientists have a special name for it: it’s called a solar prominence. How massive was it? Watch physicist Michio Kaku demonstrate Earth’s size in comparison on a Fox News segment, and you get an idea. Kaku shares all sorts of fascinating and frightening facts about the causes and possible consequences of our sun’s current period of heightened activity. For example, did you know that every 11 years the sun’s north and south poles switch places? Watch the 11/19/12 segment here. Not everyone is a fan of Ken Burns’ work, and at least one critic thinks Burns does his topic and viewers no favors by letting this two-part documentary run so long: two hours per part. But, especially in the wake of Hurricane Sandy, attention must be paid, if only to be reminded again that we humans mess ignorantly with Nature at our peril. Part 1 airs on PBS stations tonight at 8 p.m., ET. Learn more here. There are shorter versions of this video of Figaro using pieces of wood to retrieve cashews placed outside his cage, but this longer version is worth watching despite the ad in the middle. Watch Figaro eye his prize, create and adjust his tool, and alter his angle of attack as needed to obtain the desired treat and decide for yourself if what you’re seeing is or isn’t a clear demonstration of animal intelligence, yet another nonhuman creature’s ability to calculate and strategize, think and plan. Learn more here and here. For the second time in two years, NYC transit will shut down and New Yorkers living in Flood Zone A have been ordered out in the face of an oncoming storm. Last time it was Irene. Now, it’s Sandy, who’ll start pushing flood waters ashore tonight, 24 hours before landfall late Monday or early Tuesday. Track Sandy here. Learn more here and here. 1. She left 58 dead in the Caribbean. 2. She’s back to hurricane strength. 3. She’s big, even before she meets up with the winter storm from the west and Arctic cold from the north set to greet her in the northeast. 4. A full moon Tuesday means higher tides and storm surge. 6. The 3-system mashup will bring wind, rain and snow, toppling trees onto power lines. 7. The storm could stall in the northeast for days. Read more here and here. See photos here, here and here. Yesterday, weather reporters were saying that Sandy heading north, a winter storm heading east and an Arctic cold front pushing south could all come together in a George-Clooney-movie-style Perfect Storm. Now they’re saying it could be worse, historic, a multi-day monster they’ve dubbed Frank-enstorm in honor of Halloween. See photos and a news report at CBS News (10/26/12). Watch out, East Coasters! Sandy jumped to a Cat 3 before hitting Cuba and hit the Bahamas as a Cat 2. Now it’s expected to track north along our coast and (worse scenario) could hook up with a cold front over the mid-Atlantic or northeast and smack us as a Perfect Storm. Read more here and here. Watch an ABC News report here. See NASA video here. Follow NOAA storm-tracking here. U of Utah Prof Kristen Hawkes explains: Early in our evolution moms had to start foraging for themselves and their offspring, which would have slowed reproduction if older females hadn’t been around to help. Because they were, moms had more babies, more offspring aged into grandmas & so on. By Joe DeCapua, VOA News (10/24/12). The video offers multiple images of an X-class solar flare (the strongest) that occurred early today, shooting enough radiation at Earth to cause a radio blackout. Not to worry, experts say. Flare radiation can’t penetrate our atmosphere deep enough to harm us. But it can disrupt telecommunications, and though this flare didn’t hit us directly, the highly active area of the sun that produced it is turning our way. Read more here and here. Did you know the current Commander of the International Space Station is a woman? Suni Williams will have been up 4 months by the time she returns to Earth, did 6 months on an earlier mission and would love to stay a year. “Looking at the planet for a year this close would be perfect,” she tells Robert Pearlman of collectSPACE.com in this interview. Watch the video to learn more about life on the ISS and see Williams do a zero-G flip, then click here to read her blog. They’re called the Orionids because they seem to shoot from the Orion constellation, but you’re really seeing Earth pass through a debris field from Halley’s comet. Astronomers predict a good show: clear skies, lots of meteoroids and no big moon making them harder to see. Go out after midnight for best viewing. You might see a fireball like the one that streaked over San José on 10/17. Read more here. Watch a report on the fireball here. U.S. businessman Russ George’s money-making idea for slowing climate change: Dump tons of iron-rich dirt in the ocean and force a plankton bloom to trap CO2. Unable to sell the idea, he pitched it to BC’s Haida people as good for salmon and gave it a try, creating a huge bloom at unknown costs to ocean health. The Guardian, CBC News (10/15-16/12). This eyeball washed up on Florida’s Atlantic-side Pompano Beach on 10/10, and scientists aren’t sure what creature it came from. The guesses: A big tuna, sword-fish or other fish; a big squid or octopus; a whale; a kracken. DNA tests should answer that question but won’t tell us how the animal lost its eye. Maybe battling something bigger? Read more here, here and here. Serge Haroche of France & David Wineland of the U.S. were able to study the same atom because in the quantum world an atom can be in two places at once. Observing it alters it, but they found ways around that, which could lead to super fast/accurate clocks, computers & GPS devices in time. By Karl Ritter & Louise Nordstrom, AP (10/9/12). Meet Pegomatax africanus, brought to life in this cool video by paleoartist Tyler Keillor. He looks fearsome, but U. of Chicago paleontologist Paul C. Sereno, who first spotted him in a piece of rock in a Harvard lab 50 years ago and just got around to reporting on him now, insists he wasn’t. He belonged to a family of small, plant-eating dinosaurs called heterodontosaurs and was also small (about 2 feet tall) and ate plants. What’s new and odd about him: those fangs (for eating plants?) and evidence that he might have been covered in quills. By John Noble Wilford, NYTimes (10/3/12). Read more here. Is This a Whole New Type of Cloud? Scientists have long thought that water once flowed on the surface of the Red Planet due to surface features resem-bling canyons and river beds. Now, Curiosity Rover has sent back images of pebbles and gravel that researchers believe can only have been smoothed and rounded by water and lots of it running swift and deep for perhaps millions of years. Whoa! By Marc Kaufman, Nat Geo News(9/27/12). It may not be a record but it’s worth noting that Nadine is still spinning in the Atlantic more than 2 weeks after forming as a tropical depression and that after moving NW, then N, then NE, then E, then stalling, weakening and dancing around near the Azores, she’s now heading NW at 8 mph and back up to hurricane strength again. Warming oceans, anyone? The closest you can come to diving with-out diving is seeing the 3-D Imax films Into the Deep and Under the Sea in a theater. The videos and stills coming out of a Google/Caitlin Seaview Survey effort to introduce more people to the underwater world aren’t quite as strong, but they can be viewed at home and do deliver some sense of its diversity and wonders. Read more here. Watch a slideshow here. See videos here. Imagine the disappointment: While in Ecuador, you make a special trip to a site called Middle of the World for the kick of standing on the Equator only to learn that GPS data say it’s really some 800 feet farther north. Good news: A new monument marking its true location is in the works. By William Neuman, NYTimes (9/25/12). This 7-foot leatherback, an endangered species, was 100 lbs underweight at 655 lbs when found stranded in the mud in Truro, Cape Cod, on Wed 9/19. New England Aquarium rescuers brought him in, treated him swiftly and released him on Saturday 9/22 because it was either free him fast and hope he survives (a satellite tag says so far, so good) or condemn him to certain death in captivity, where these creatures who don’t know what a wall is never survive. By Gal Tziperman Lotan, The Boston Globe (9/23/12). Fourteen-year-old Mei Xiang, left, born in captivity to wild-panda parents, issued a honk around 9 a.m. on 9/23 that told zoo staff all wasn’t well with her and her miniscule cub. Indeed, for still unknown reasons, the cub had died, making for six failed results of artificial insemination with sperm from the same captive-born son of wild parents after one success in 2009. By Ben Nuckols, AP (9/23/120). Funny what countries can get competi-tive about. Being home to the hottest spot on the planet seems to be one of them. 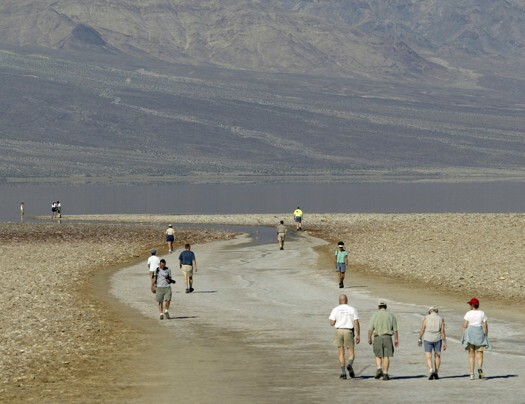 The title belonged to El Azizia, Libya, until an international team of experts ruled that El Azizia’s record-setting temp of 136.4° F. on 9/13/22 was off by about 5 degrees and that the real record was 136° F. on 7/10/13 at Death Valley, CA — also known as the driest and lowest spot in the U.S. By AP, Washington Post(9/14/12). If you think this guy’s face is amazing, you should see his backside. It’s aqua blue. But it was his blond hair and a red patch on his back that helped researchers identify him as a new species. Villagers living near his rainforest habitat in the Congo call him a lesula. Scientists found him just in time to try to prevent bush-meat hunting from wiping him out. By Andrea Mustain, OurAmazingPlanet (9/13/12). Read more here. Read the online study and see more photos here. No, that’s not a Chewbacca outfit. It’s the 10,000-year-old remains of a 2.5-year-old woolly mammoth found frozen in Siberia early this year. Freezing damages DNA and makes cells useless for cloning. Now, though, for the first time, scientists have found other mammoth remains with intact cells, though not enough for cloning purposes, it seems. By Michael Destries, ecorazzi, 4/4/12 & 9/12/12. The man in the water is a Coast Guard rescuer. The one in the crate is Ryan Harris, 19, who got thrown into the sea with friend Stony Huffman while fish-ing off Sitka when a wave sank their boat. They grabbed a crate and survival suit, then got separated. Huffman had the crate lid and suit and made it to an island. Harris climbed in the crate and held on for 26 hours. Both survived. By Emma Reynolds, MailOnline 9/11/12. The image at left is a NASA view of the Greek Island of Santorini, or what was left after the volcano blew circa 1620 B.C., creating a tsunami that destroyed all nearby civilizations and spewing so much magma that the empty volcano collapsed and sank. Now the island some believe was Atlantis is being hit by earthquakes, and magma is building again. Will the volcano erupt? Not any time soon, scientists say, and a second eruption would be minor compared to the first. By Douglas Main, CSMonitor (9/10/12). See the dot representing Earth in this NASA image of a solar eruption that occurred on Friday 8/31? Yes, it’s true to scale. Lucky for us, this gargantuan coronal mass ejection (CME) didn’t shoot right at us at 900 miles a second, though it did trigger auroras. By Jesus Diaz, gizmodo.com (9/5/12). Click the image to enlarge and see more. Not a pretty sight, but as NBC News’ Miguel Llanos writes, if there’s a silver lining to Hurricane Issac, it’s that it drowned thousands (out of millions) of nutria, aquatic rodents imported from South America by fur-trappers in the 1930’s that ran amok when trapping collapsed and began eating up marsh-lands that buffer against storms. By Miguel Llanos, NBC News(8/31/12). The first Internet Cat Video Film Festival drew 10,000 cat lovers to Walker Art Center in Minneapolis on Thursday, 8/30. For cat lovers who couldn’t attend, organizers have posted a screening list of 79 top entries on YouTube, including the People’s Choice Winner at left. By Deborah Netburn, Los Angeles Times(8/31/12). Yosemite Warns Thousands Possibly Exposed to Deadly Virus Yosemite officials now say some 10,000 people may have been exposed to hanta-virus while staying in insulated tent cabins this summer: 6 are ill; 2 have died. Hantavirus has no cure. It kills up to 1/2 of those who contract it from exposure to the excretia of infected deer mice. Warm winters lead to population booms. Double cabin walls make a nice place to live. By Tracie Cone, AP (8/31/12). Most people know that Blue Moons aren’t really blue — this one, likely shot through a filter, included. The term usually refers to a second full moon in a month, like this month. We had a full moon on 8/1 and will have another on 8/31. Then that’s it until 2015. There’s usually only one Blue-Moon month a year, but there can be two. It happened in 1999 and will again in 2018. By EarthSky.org(8/21/12). Seabird fans know cormorants dive to catch fish. But how deep? Wildlife Conser-vation Society scientists got an idea when they strapped a minicam onto an Imperial Cormorant in Patagonia who dove 150 feet to the ocean floor, swam around, grabbed a fish and surfaced to eat it after more than 2 minutes down. Click the image to watch the video. By Slate.com(8/1/12). Dana McGregor, 33, of Pismo Beach, CA, loves surfing. He also loves his goats Goatee and her son, Pismo. So it was inevitable that he’d bring his two loves together by putting his goats on a surfboard. Click the image to see the video. usnews.msnbc.msn.com (7/13/12). Kaleb Langdale, 15, and friends were swimming in Florida’s Caloosahatchee River on 6/9 when a gator came at him. He put up an arm and the gator bit part of it off. Kaleb’s alive, the gator’s dead, the arm can’t be reattached. Watch the NBC-2 News report to hear about other attacks, including one on a man who got his hand bitten off doing something stupid. Two CERN teams reported today that they’ve found evidence of a particle called a boson that Peter Higgs said in the 60s must exist: a tiny speck with a sticky field that holds other particles together, creat-ing mass, without which matter wouldn’t exist. Team leader Fabiola Gianotti said, “Thanks, Nature!” By John Heilprin, AP, 7/4/12. Read more here, here and here. Solitario Jorge, as he was known locally, was found on Pinta Island in 1971 and moved to a preserve on Santa Cruz in the hope he’d breed with related species. No luck. He mated but didn’t make babies. He died on June 24 at age 100 or so: old, but not that old. Experts think some Pinta Giant Land Tortoises, of which he was the last, may have lived 200 years. By Sara Miller Llana, CSMonitor (6/25/12). The Christian Science Monitor reports that Richard Gillespie of The International Group for Historical Aircraft Recovery has found more evidence, including a broken freckle-cream jar, that Amelia Earhart and co-pilot Fred Noonan landed on Nikumaroro Island on July 2, 1937 and survived there for some time. Earlier artifacts were reported on in 2009, and a partial skeleton was found in 1940, but it’s believed that Giant Coconut Crabs carried off the bones. The specimen at left is said to look larger than it really is. But make no mistake — these critters are big! Venus has been shining bright white in the Western sky this month. On June 5 & 6, it will look different: like a black beauty mark on the face of the sun as it passes in front of the sun in a rare “transit of Venus.” How rare? The last one was in 2004 (see photos); the next is 105 years off. So note the date and try to catch the show, viewable everywhere. By Mike Wall, Space.com(5/21/12). It came, it went, and now the photos of the May 20 2012 annular eclipse are coming in. Around the world, people were out with their cameras. View portfolios of some of the gorgeous, stunning, clever, amusing images they captured at Space.com, The Christian Science Monitor, Time NewsFeed, Mail Online, Universe Today, Seattle PI and Huffington Post. It’s called an annular eclipse. The moon blocks the sun, but because the moon is at its farthest from earth, it looks smaller and leaves a “ring of fire.” West Coasters & Southwesterners will see part of it as the sun sets on Sunday 5/20. The rest of us will have to wait for the next annual eclipse next May or the next total eclipse in August 2017. By Tim Newcomb, Time NewsFeed, and Sky.com (5/16/12). 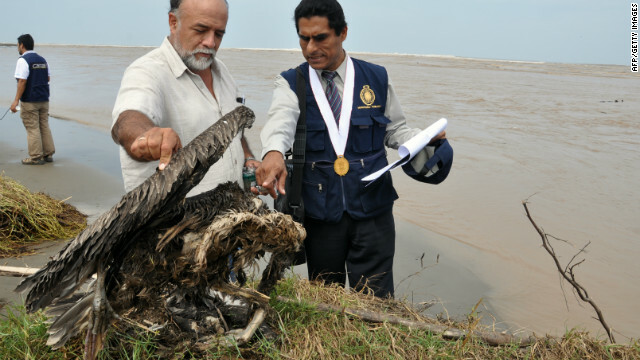 First, dolphins began dying in Peru: 1,000 to 3,000—counts vary. Then seabirds began dying: 5,000 to date. Now seabirds are dying in Chile: about 2,300 so far. Scientists suspect three causes: underwater blasting, climate change, fishing nets—all human doing. By Marilia Brocchetto, CNN(5/12/12). They’re called Cross River gorillas. They’re seldom seen and critically endangered—only 250 left in a border region of Nigeria/Cameroon—so to researchers this WCS footage is gold. View the clip. Count gorillas. Listen to the dry rustling as they move through the forest. Wait for the Silverback’s appearance (thrilling! ), and watch for the gorilla who lost a hand, probably in a snare. Learn more here and here. A chimp named Santino at Sweden’s Furuvik Zoo is known for gathering piles of stones each morning to hurl at visitors later in the day. Now, scientists report, he’s gotten sneakier. Instead of stacking stones in the open, he conceals them behind logs and under piles of hay. And instead of showing temper before he lets fly, he acts cool, munching on an apple as he strolls toward his targets to keep them off guard. Clear evidence of intelligence at work? Some researchers say yes. Others say no, still unconvinced that our closest relative can also think and plan. By Michael Balter, Science Now (5/9/12). Read the full study and see some great photos here. Crocodylus thorbjarnarsoni likely grew longer than 27 feet, says Chris Brochu, who saw its fossils in a Kenya Museum and identified the new species by the shape of its head and jaw. Early humans were only four feet tall, meaning this croc didn’t bite them. It swallowed them whole. By RedOrbit(5/8/12). Scientists divide earth’s 4.5 billion-year history into epochs. We live in the 11,500-year-old Holocene, but many experts believe humans have so altered the planet in the last 200 years or so that we should name it after ourselves: call the current era something else: the Anthropocene Epoch. By Elizabeth Kolbert, Nat Geo (March, 2012). View photos of how we’re screwing things up here. Skies were overcast in NYC on Saturday but partly cloudy to clear in other parts of the world, and, lucky for those of us who couldn’t view the Supermoon last night (or its bright preview the night before), people who could view it were out everywhere with their cameras, taking gorgeous photos for all to enjoy. See a sampling at washingtonpost.com, huffingtonpost.com, space.com and flickr.com. (5/6/12). It’s one of Nature’s special events: a full moon shining bigger and brighter due to its reaching fullness just as it comes closest to earth. It happened in March last year, it’s happening on Sat, May 6 this year, and it won’t happen again for about 15 years. Hope for clear skies & try to catch it as it rises, when it will look especially big. By Space.com (4/30/ 12). See more photos & video here. First came reports that dolphins were dying in huge numbers in northern Peru: 3,000 dolphins and counting. Now come reports that pelicans are dying in the same area: more than 1,000 so far. Acoustic trauma from underwater oil-and-gas-exploration blasting is the suspected cause of the dolphin deaths. But the pelican deaths are a new mystery. By Marilla Brocchetto, CNN (4/30/12). Open sores, weird parasites, black marks, internal contaminants. Scientists can’t say for sure that the spill caused the problems they’re seeing in Gulf grouper and snapper — only that the closer they get to the site, the more sick fish they find. Not to worry, though, they add. The fish are still safe to eat. AP(4/18/12). To see an AP video, click the image at left. Jane Goodall was on John Stewart last night promoting a new Disney doc about a young chimp named Oscar. The story is amazing. Goodall hopes it will touch our hearts and show “we’re not the only beings with personalities and minds….” It opens 4/20. Part of first-week ticket sales goes to her institute. See it by 4/26. Learn more here. An odd bit of good news mixed in with all the bad about global warming: Due to what one expert calls a quirk of atmospheric circulation, glaciers are not melting in the western Himalayan Karakoram Mountain range the way they are in pretty much every other mountain range on the planet. Instead, for now, snow levels are increasing. AFP, Ottawa Citizen (4/16/12). Those twister-spewing storm systems sweeping up country that forecasters predicted would be really nasty are living up to advance billing. The one that hit the Texas Panhandle on 4/12 dumped 4 feet of hail near Amarillo, closing highways and trapping people in their cars. And more storms and hail are expected this weekend. By Linda Stewart, AP, CSMonitor (4/13/12). It’s politely called guano, and when Emperors come ashore to breed, they stain the Antarctic landscape brown with it in blotches big enough for sat-cams to spot so scientists can count individuals. Good news: the new count is 600,000, 2x the estimate, meaning climate change won’t wipe them out as fast as feared. By Jonathan Amos, BBC News (4/13/12). Speaking of finding the familiar in the strange (See “Elephant Face on Mars,” 4/7/12), it seems that’s how we learn to read — by learning to recognize patterns of letters — and a new study reports that Baboons can do it, too. Presented with thousands of 4-letter combos, the brightest of six test subjects could tell words from non-words with 75% accuracy, even though they couldn’t actually read. By Erin Loury, Science(4/12/12). The cute elephant face at left is really just a chance pattern made by a lava flow on Mars. We see it as a face, msnbc.com science editor Alan J Boyle explains, thanks to something called pareidolia: our cognitive knack for finding the familiar in the strange. This new addition to the Mars “that looks just like” portfolio comes from a photo taken on 3/19 by a high-rez camera on NASA’s Mars Reconnaissance Orbiter. By Alan Boyle, msnbc.com(4/7/12). That’s what astronomy teacher Joe Rao calls it: a “cosmic triangle” formed by the moon, Mars and Regulus, visible in the southeastern sky, 8:30-ish tonight. Turns out Mars was in opposition to the sun and at its closest to Earth about a month ago and is moving away now but still shining pretty bright. Catch it while you can. By Joe Rao, Space.com, Discovery News(4/3/12). The size, the scales. What the heck is it? A hoax? A sea monster? Answer 2 is close. It’s the bony-scaled body of an Atlantic sturgeon that washed up on a S.C. beach and gave folks a fright until it was ID’d. The prehistoric fish can reach 15 feet in length. This one was 10 feet long. By Benjamin Radford, Discovery News, FoxNews.com (3/29/12). It’s unclear how often the phenomenon happens, possibly not since Abe Lincoln saw it. Later today, the planet Venus will be up in the daytime sky. Go out around 4 p.m., face south, block the sun, find the crescent moon and look for a tiny bright light above it. That’s Venus. Binocs help. Look again at sunset, and Venus will be to the right of the moon with Jupiter below. By Geoff Gaherty, Space.com, Discovery News(3/26/120. He said he’d to do it and he did. Film-maker James Cameron dove 7 miles down to the deepest ocean floor (the third human to go and first to go alone) in a sub he co-designed, spent two hours there contemplating where he was, tried and failed to collect scientific samples (the only glitch) and returned faster than he expected, vowing to go again. By Seth Borenstein, AP(3/26/12). This unnamed species of Leopard Frog isn’t an invasive new arrival in the Big Apple, thank goodness. Turns out it’s been here all along, living exclusively in marshes near Yankee Stadium, but it looks so much like another species that it passed unnoticed until a Rutgers scientist noticed it had a different croak. By Shelby Lin Erdman, CNN(3/17/12). Scientists didn’t know giant & colossal squid (the 2 deep-ocean species) have such huge eyes until this largest ever specimen (26 ft/1,000 lbs) was netted in Antarctica in 2007. Why such huge eyes if you live in blackness? New theory: To detect the faint trails of bioluminescence sperm whales stir up as they prowl for a squid meal. By Brian Handwerk, Nat Geo(3/15/12). The best thing about HBO’s new horse-racing series, “Luck,” is the beautiful horses. Two of these magnificent animals died in racing accidents during season-one filming. Now, a third has died in an off-track accident during filming for season two, and HBO has done the only thing it could do under the circumstances: it has cancelled the series. By Lynn Elber, AP(3/14/12). He gave us “Titanic,” now in 3D, but his passion for deep-ocean exploring goes deeper. With 72 submersible dives to his credit, filmmaker and Nat Geo explorer James Cameron just completed a 5-mile dive, his deepest yet. Next: a solo, 7-mile descent to the deepest known part of the ocean floor. By Seth Borenstein, AP (3/8/12). Follow the adventure here. Be prepared for electronic malfunctions tomorrow, and if you can avoid flying on planes or depending on GPS, do so. An expanding cloud of charged particles from a massive solar flare, the biggest in five years, is hurtling toward Earth and expected to slam into us just after 1 a.m. tomorrow at speeds of about 4 million mph. “It could give us a bit of a jolt,” NASA solar physicist Alex Young told AP. And it’s just a harbinger of things to come as our sun revs up for another period of peak activity after a cyclical lull. By Seth Borenstein, AP(3/7/12). Nobody knows for sure what brought down the Mayan civilization, but researchers now suspect that gradual climate change in the form of small, steady reductions in rainfall, especially crucial summer rains, may have been enough to disrupt and destroy a culture dependent on adequate rains for crop cultivation and fresh-water storage. LiveScience, CBS News(2/24/12). Exoplanet GJ 1214b, about 3x Earth’s size, was first spotted circling a nearby red-dwarf star from an earth telescope. Its lack of density suggested it could be mostly water, or haze. Space telescope observations now confirm it’s mostly water, probably acting strangely under high pressures and temps. It’s like “no other planet we know of” the lead scientist told BBC News. And it’s close enough to study. BBC News(2/24/12). Astronomers call it a triple conjunction. On Saturday & Sunday, Feb 25 & 26, the new moon and Jupiter and Venus, the brightest planets, will appear close together in the night sky. The moon will look closer to Venus on Saturday and Jupiter on Sunday as the planets also seem to draw closer and then pass each other from our earthly P.O.V. — a trick of perspective and orbits. Space.com(2/23/12). Scientists have been searching for these carbon-based molecules in space for 25 years. Now they’ve found them around a pair of stars 6,500 light years away. They’re the biggest molecules found in space so far and the most stable ones on Earth — possible universal building blocks of life . By Martin LaMonica, CNET News(2/23/12). Ever Wonder What Came Before the Big Bang? In his new book, A Universe from Nothing, cosmologist Lawrence M. Krauss, left, examines exactly this question — which, apparently, has a number of possible answers. The NYT’s incomparable Dennis Overbye gives us the Cliff Notes. Prepare to have your mind tickled if not blown. By Dennis Overbye, The New York Times(2/20/12). Acapulco Cliff Divers Need Tourists! As a cliff diver named Angel explains in this beautiful BBC video, Acapulco was once a tourism hotspot, which meant plenty of work for professional cliff divers. Now, tourism is dead, and divers are suffering. Watch the 4:11 video here. Read more about Acapulco’s tourism problems here. By Rajan Datar and Jayne Douglas, BBC News (2/20/12). They’re not tornadoes as we know them, thank goodness. They’re masses of 15,000° F. plasma whipped around by the sun’s magnetic forces at speeds of up to 300,000 m.p.h. Each one of these wisps is as wide as the Earth and many times that in height. By Seattle’s Q13 FOX News (2/17/12). Click the image to see this video and others at NASA.gov. It fits that the world’s tiniest chameleon, only about an inch long from nose to tail, was found on a tiny island called Nosy Hara off northern Madagascar. Scientists discovered Brookesia micra and 3 other species of tiny but not as tiny lizards during expeditions to the area between 2003 and 07, and, already, two of the four are threatened by habitat loss. By Andrea Mustain, Our Amazing Planet, The Christian Science Monitor (2/15/12). To read the journal paper and see more photos of these fellas and where they were found, click here. Little Victoria (left) was born into the San Juan Islands’ resident L-Pod around Jan 09. Now she’s dead, washed up with trauma to her head, chest and side. Was it a boat? Navy sonar? Transient orca attack? No one knows yet. But she’s gone, and L Pod has lost a precious female whose future babies could have helped it survive. By Candace Calloway Whiting, Seattle PI (2/13/12). Researchers believe that a species of giant Mediterranean seagrass called Posidonia oceanica may have been around for 100,000 years or more, possibly a lot more, making it the oldest living species on the planet bar none—almost twice as old as the Tasmanian plant that used to hold the title. Two secrets to its loooong-term survival: self-cloning and asexual reproduction. Seagrasses are crucial to healthy coastal ecosystems. Sadly but not surprisingly, they’re on the decline now, and researchers worry that climate change may do them in. Voice of America News (2/7/12). Read the study here. Scientists didn’t know humpbacks sing until the ’60s. They now know the song is structured, all whales in one population sing the same song and the song evolves. They thought all whales in one ocean sang a similar tune, but new news: whales on two sides of the southern Indian Ocean sing different ones. Go to wcs.org to hear both. The Madagascar song is clearer. Prepare to be thrilled. wcs.org(2/2/12). Her name was Taijah. She was just a baby, not yet two. Staff noticed her behavior was off, then she stopped eating and spit up blood. She died in a tank with her mom, Allie (born in captivity) and sire, Semo (born in the wild). That’s at least six dead dolphins at this zoo since ’06. It will get more, sadly. But, for now, Allie and Semo are the only ones left. By Paul Walsh, StarTribune(2/7/12). Flip Side 1: Behold Our Beautiful Blue Marble—Again! NASA’s an American space agency, so it makes a certain sense that the first new “Blue Marble” image of our planet created from new composite satellite photographs NASA released would be an image of the western hemisphere—the Americas side. Now, iNASA has released “Blue Marble 2″—an equally if not more stunning image of our planet’s eastern hemisphere, created from photographs taken by the same satellite on January 23. By Michael Winter, USA Today (2/2/12). Click here to see a bigger image and learn more about how it was made. 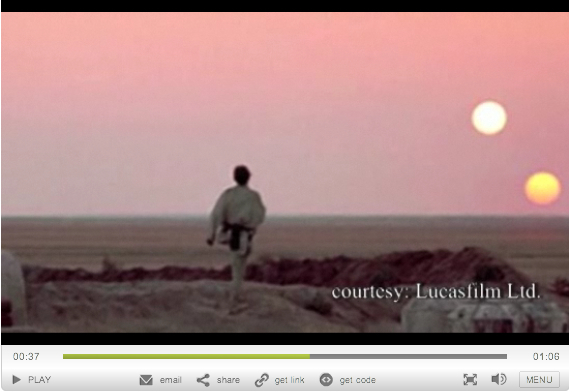 Flip Side 2: First Video Footage of the Dark Side of the Moon —Ever! A student named the cameras that took this first-ever footage Ebb and Flow. The spacecraft is the Gravity Recovery and Interior Laboratory—aka GRAIL. And, sorry, can’t help be thrilled: the lead scientist is female. By Trent Nouveau, TG Daily (2/2/12). Click here to see full screen NASA footage. Click hereto learn more about the mission. Big, beautiful snowy owls (2 ft tall, 5 ft wingspan) have swarmed south from the Arctic to the northern U.S. in a rare migration experts call an irruption. “It’s unbelievable,” said owl expert Denver Holt. “This is the most significant wildlife event in decades.” Experts link it to a big supply of lemmings (the owl’s main prey) last breeding season. More food=more babies=more juveniles ranging farther south now for food. Reuters(1/19/12). The satellite that took this photo of our precious planet had an very long, technical name when it was launched last October. It has since been renamed the Suomi NPP in honor of Vernon E. Suomi, the man considered the father of satellite meteorology. The Suomi took the many individual hi-rez images that went into this latest, greatest composite image of our planet on January 4. By Brid-Aine Parnell, The Register (1/26/12). To see this image in even finer, hi-rez glory, click here. To see more amazing NASA images, click here. Radiation from a huge solar outburst will give Earth a glancing blow this weekend, causing possible disruptions in the planet’s magnetic field that could lead to power outages and satellite malfunctions and resulting in auroras that could be visible across the whole northern U.S on Sat & Sun nights. Watch for them! By Paul Spots, The Christian Science Monitor(1/21/12). With seas roughening and searches suspended on the sunken cruise ship Costa Concordia off Giglio, Italy, not only will human lives remain lost, but one of the earth’s last areas of pristine seas, home to healthy corals, plentiful fish and playful dolphins, is now threatened by a disastrous oil spill. AP, The Washington Post (1/20/12). Scientists have long known about binary star systems—two stars circling each other. Now, for the first time, they’ve located planets orbiting two such systems—planets with two suns, as George Lucas depicted Luke Skywalker’s home planet in “Star Wars” (left). Click here or click the image to read more and watch a short video about the discovery. By Charles Q. Choi, Space.com(1/11/12). Can’t People and Seals Get Along? This protected beach in La Jolla, CA, has long been loved by locals. Now the harbor seals who used to gather on offshore rocks have become fond of it, too. The female seals are pregnant now, and some locals want to protect them while others want them gone. So the seals hang out, mostly undisturbed, while the humans fight. By Tony Perry, Los Angeles Times(1/8/12). A severe drought and toxic red tide in Texas’s Aransas National Wildlife Refuge have decimated the berries and crabs that the world’s last flock of Whooping Cranes feed on during their winter stay before flying nonstop back to Canada to breed. One bird has died, and conservationists are concerned. There are only about 300 left. AP, USA Today(1/9/12). This photo of an astronaut floating in space was NASA’s Jan 1 Astronomy Picture of the Day. The APOD site offers a different image daily and lets visitors explore 17 years of archives. Visit, bookmark, enjoy. Thanks to The Observer’s Very Short List for featuring APOD on 1/6 and reminding us about it. We mentioned it on 6/19/11 in Views from Space. It’s worth mentioning again. To quote the copy accompanying this image on the Wildlife Conservation Society web site, “Photographing snow leopards with remote cameras in Afghanistan is hard enough, but snapping a picture of a mother and cub is nearly impossible.” This one was taken in the Sarkund Valley on 10/25 and posted on on the WCSsite on 12/30. Thanks to Kalia Doner for passing it along. Keet, son of Kalina, the first captive-born orca to survive (she died suddenly in Orlando at age 25 in 2010), is moving from San Antonio to San Diego—his fifth move in 19 years. Moves are traumatic to captive orcas, but if shuffling them promotes breeding, SeaWorld says, “Who cares?” (More soon in a GNN update.) By Candace Calloway Whiting, SeattlePI (1/3/12). Oxford University researchers have located what they call a “lost world” of previously unknown marine species—starfish, crabs, octopuses—living near thermal vents more than a mile down on the floor of the Southern Ocean near Antarctica in waters as hot as 719.6 degrees F. Story and video at The Telegraph(1/4/12). In this short (1:21), funny video, the dog at left reacts as his owner describes foods he didn’t get to taste. It’s very cute. Click the image or click here to see it. Uploaded by klaatu42, youtube.com (5/1/11). Thanks to Megan O’Neill at socialtimes.com for including it in a list of “Top 10 Funniest Videos of 2011” and reminding us of it. Even if you’ve seen it, it’s worth watching again for a New Year’s laugh. Click hereto view all the videos on O’Neill’s list. Here Come the Giant Shrimp! 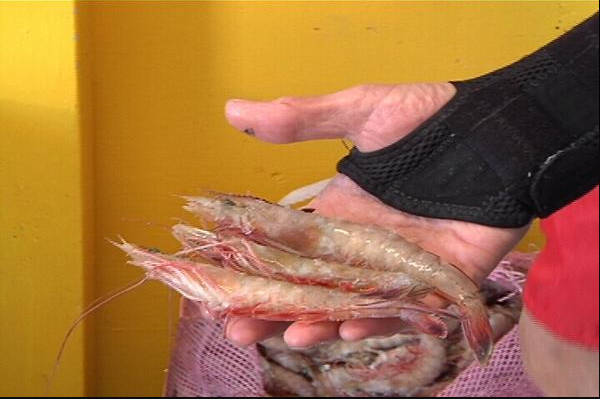 An invasive species of shrimp called Asian Tiger Prawns began showing up in Texas Gulf waters in June, and officials are worried they’ll spread. Unlike the smaller, local species, these guys can grow more than a foot long and prey on other marine life, including smaller shrimp! The only possible plus: They make good eating, too. By Lindsay Curtis, KrisTV.com(12/27/11). Star of Wonder, Star of Light…. The white streak is Comet Lovejoy, discovered on Nov 27 by amateur astronomer Tommy Lovejoy, on an orbit heading so close to the sun it was expected to vaporize. But it didn’t. Read more and see earthbound video at Physorg.com (12/24/11). See some breathtaking video taken from the international space station here. SeaWorld Orlando officials report that Tilikum, the captive killer whale who dragged trainer Dawn Brancheau into a pool at SeaWorld Orlando in February 2010 and rammed and thrashed her to death, has fallen ill. Born in the wild and now the largest killer whale in captivity, Tilikum’s primary value to SeaWorld has been as a prolific breeder, which is why SeaWorld bought him and kept him in the first place, knowing he’d been involved in two previous human fatalities. (More coming soon in a detailed GNN update on news and happenings at SeaWorld.) By WKMG Local 6 News, FloridaToday.com (12/22/11). It’s a Bouncing Baby Orca! NOAA researchers spotted this new baby—so new, he or she still had fetal folds— swimming with the members of J-Pod in the Southern Resident community in the Pacific Northwest on Dec 17. Dubbed J-48, the calf is the third born to a mom whose previous two have survived, giving his sweetie better odds of surviving, too. By Judith Lavoie, Victoria Times Colonist, The Vancouver Sun(12/22/11). Belugas Still Trapped —Will an Ice-Breaker Free Them? Turns out it’s not the first time belugas have become trapped in pack ice off Russia’s Chukotka peninsula and past human responses have varied from freeing them, to hunting them, to letting them die. The governor of Chukotka wants an ice-breaker to free them this time, but it’s busy elsewhere and may not arrive in time. By Mia Bennett, Alaska Dispatch(12/15/11). 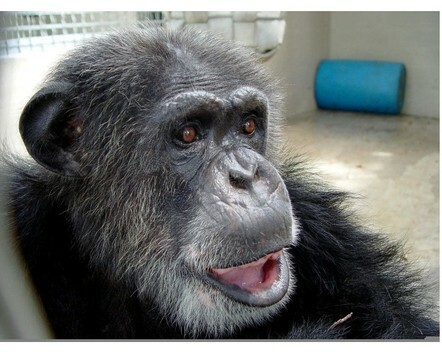 The Institute of Medicine concluded in a groundbreaking report that it’s time to stop using chimpanzees, our closest genetic relatives, as research animals; and the head of the N.I.H. announced today that he accepts these findings and, “effective immediately,” will stop funding research that uses chimps. Animal welfare advocates cheered this major step toward greater respect and concern for our fellow creatures. By Dan Vergano, USA Today(12/15/12). An estimated 100 beluga whales, an endangered species, are trapped in advancing ice in the Bering Sea in the Chukotka region of Russia. At last report they were caught in an area with enough open water to still be able to breath. But the water could freeze, and if an ice breaker doesn’t free them, all 100 could die. By Antoine Lambroschini, AFP (12/14/11). Great Balls of Fire! — in the Sky Tonight! The annual Geminid Meteor Shower will put on its show for the second night tonight, and reports are that this year’s entertainment features a greater than average number of fireballs. Best viewing will be from 10 p.m. to 3 a.m. Hope for clear skies! By Elizabeth Weise, USA Today(12/14/11). Last Lunar Eclipse until 2014 — and We’ll Miss It! Because of the way the Earth orbits the Sun and the Moon orbits the Earth, the total lunar eclipse happening Saturday, Dec 10, will be the last until 2014, and those of us on the East Coast will miss it because it’ll just be starting as the Moon sets around 7 a.m. Bummer! By Mark Thompson, Discovery News (12/9/11). Go to NASA’s Eclipse Web Siteto learn more. U. of Chicago researchers report that given a choice between eating chocolate chips out of a container or freeing a fellow rat trapped in a tube, 23 out of 30 rats helped their fellow rodent. Females had the softest hearts. All six helped and then shared the treat, every single time. Seven males didn’t help at all, and the 17 who did weren’t consistent. But still. 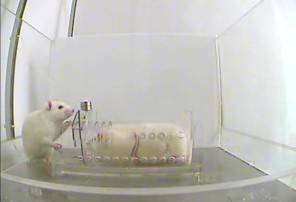 Rats feel compassion? AP(12/8/11). For the first time, astronomers have found a planet orbiting a sun-like star at about the same distance as Earth is from our sun. Meaning, this planet, Kepler-22b, exists in “the habitable zone.” Not too close to its sun, not too far. Not too hot, not too cold. Meaning, like Earth, it could have oceans. And maybe continents. And maybe life. By Michael D. Lemonick, Time(12/6/11). An ongoing underwater volcanic eruption off El Hierro in the Canary Islands may expand that island or form a new one. Islanders live with seismic shaking in the meantime, and fishing and tourism are down. By Rob Hugh-Jones, PRI’s The World, BBC News (12/3/11). See more photos and hear a radio report here. This prehistoric predator, called Anomalocaris, grew to about 3 feet long and had protruding eyes more than an inch wide with some 16,000 lenses—all the better to see its victims, grab them in its nasty claws and rip them to shreds with its serrated mouth. It’s 500 million years gone now (let’s hope! ), but a pair of fossilized eyes just turned up on Australia’s Kangaroo Island. By Ian Sample, The Guardian (12/7/11). Astronomers have discovered not one but two black holes so massive they could swallow our solar system without a burp. One has already eaten about 10 billion times the weight of our sun. The other has eaten three times that much. Let’s hope they’re full because they’re not that far away as space distance goes: only about 331 million light years. By Dennis Overbye, The New York Times(12/5/11). Gretna Green, Scotland is known for the flocks of starlings that visit in Oct thru Feb and fly around in amazing formations called murmurations. Amateur photog Paul McGreevy caught this one and another with an ocean theme. Daily Mail (11/18/11). Learn more and watch a video here. The National Weather Service warns that a major storm heading toward Nome could be the worst ever to hit, in part because major storms don’t usually reach that far north and in part because there’s so little sea-ice to weaken the storm before it hits land. (Can anyone say global warming?) By Yereth Rosen, The Christian Science Monitor (11/1/11) Learn more and watch a video here. As CBS’s Steve Hartman reported in 2009, Tarra the elephant and Bella the mutt were fast friends at the Elephant Sanctuary near Nashville. Then, about a week ago, Bella died — attacked by coyotes, it seems — and it looks like Tarra found her body and gently carried it home. Now Tarra is mourning, and other elephants are consoling her. By Steve Hartman, CBS News (11/4/11) Read more and watch some touching videos here. Is That an Asteroid in My Soup? An asteroid the size of an aircraft carrier will give earth a mighty close shave right around dinnertime on the East Coast this evening. NASA scientists say the 1,300-foot-wide asteroid 2005 YU55 will whizz past at a speed of 29,000 mph at 6:28 p.m. EST today, at a distance of 201,000 miles from earth—closer to us than the moon. By Robert Lee Hotz, The Wall Street Journal (11/8/11). Read more here and here. Scientists have long known that the black and brown horses depicted in cave paintings actually existed, but they weren’t sure about the spotted ones: Were they real or imaginary? Now they know. New DNA studies indicate that, yes, these spotted horses existed, too. AP, Fox News (11/8/11). Learn more here and here. If a Giant Tree Falls in the Forest…. A Giant Sequoia topped over in Sequoia National Forest on Sept 30 (possibly because the ground had become too soggy to hold it upright), blocking a trail and leaving officials unsure what to do. The tree (actually two joined at the base) measured about 300 feet tall and 17 feet across and was about 1,500 years old when it fell: young for a Sequoia, which can live 4,000 years. By Bettina Boxall, Los Angeles Times(10/29/11). It’s risky, frowned upon, harassing to these magnificent creatures — the largest ever to exist — and the kayaker who made these videos lacks manners and consideration for his fellow kayakers and the whales. But his two videos (4:18 & 2:56) are worth watching. Read the story and scroll down to view the videos here. By Laurie Whitwell, MailOnline(10/18/11). It’s not pretty seeing any animal killed. But according to this report, wild hogs are a scourge in Oklahoma, where this one was taken down with a crossbow by hunter Winston Brown; state officials would love to be rid of them; and this one’s the biggest they’ve seen: 760 pounds — bigger than 3 good-sized men like Brown. Read the story and see the TV report here. By Joleen Chaney, KFOR-TV (10/14/11). The asteroid is called 4 Vesta, and one of its mountains measures about 13 miles high compared to Everest’s 5.5 miles high and 112 miles across at its base, according to new NASA data. By Victoria Jaggard, National Geographic Daily News(10/12/11). That may not sound like much, but it actually takes a level of cognitive ability and abstract thinking that researchers thought only humans, primates and dolphins possessed. By Brandon Keim, Wired Science(10/12/11). As a NYState Racing Board official told The New York Times, Rick Dutrow, trainer of 2008 Derby and Preakness winner Big Brown, seems to genuinely loves horses. Unfortunately, he seems to loves winning more. By Joe Drape, The New York Times(10/12/11). The Atlantic reports that rains have been drenching Southeast Asia since mid-July and parts of Thailand have been hit with the worst flooding it has seen in 50 years. By Alan Taylor, The Atlantic (10/12/11). See more than 3 dozen powerful images here. A young female named Morgan found in poor health off the Netherlands in June 2010 may soon move from a tank in Harderwijk to a marine park in the Canary Islands with strong ties to SeaWorld, where she could eventually end up. Activists are fighting to free her, but they’re losing. AFP (10/12/11). Learn more here, here and here. Veterinarians who did autopsies on the two adult orcas that stranded and died in Alaska’s Nushagak River report that one of the two was pregnant and close to giving birth. CBSNews (10/12/11) Learn more here. That’s a Lot of Pumpkin Pie! A landscaper in Napa won this year’s giant pumpkin contest in Half Moon Bay, CA, with his 1,074-pound entry. AP, October 10, 2011. Watch a short and sweet pumpkin contest video here(1:22). There were only about 140 wombats left on the planet until a few days ago. Now there are 141, and a camera caught Baby’s first steps with Mom outside their burrow. By Tony Moore, The Sydney Morning Herald (10/10/11). Watch the video here (0:33). Learn more about wombats here. Two of the three killer whales who wandered up river in Alaska have been found beached and dead, and the fate of the third — a juvenile boaters tried to usher down river— isn’t clear. By Jackie Bartz and Chris Klint, Channel 2 News, The Baltimore Sun (10/9/11). Strange but True News: Krakens Were Real? A Mount Holyoke College paleontologist believes these mythic sea monsters actually existed and that they were really big, really mean and possibly smart and self-aware enough to arrange the bones of their victims (left) into self-portraits. Yikes! Geological Society of America(10/10/11). That could mean high winds, major storms and severe cold in the Northwest for the second year in a row. By Jeff Hodson, The Seattle Times(10/1/11). A new study suggests that the water in our oceans may have been largely suppled by ice crystals from comets such as Hartley 2 (left) crashing into the earth. By Jayne Jung, forbes.com(10/6/11). Killer whales (orcas) don’t belong in or do well in fresh water, and officials are hoping they’ll find their way back to the ocean soon on their own. By Mary Pemberton, AP, abcnews.go.com(10/7/11). Yep, “Dog” is his name, and he and his owner ride everywhere together. This video looks old, but it’ real and it’s a hoot. Thanks to Janel Bladow for passing it along. YouTube.com. Neil deGrasse Tyson, director of NYC’s Hayden Planetarium, reminds us of who and what we really are. Short and sweet. Not new, but very cool. Thanks to Rich Jachetti for sending it. Youtube.com. Even the man who discovered this strange crystal structure thought, “This can’t be real,” but it is. By Jennifer Carpenter, BBC News (10/5/11). 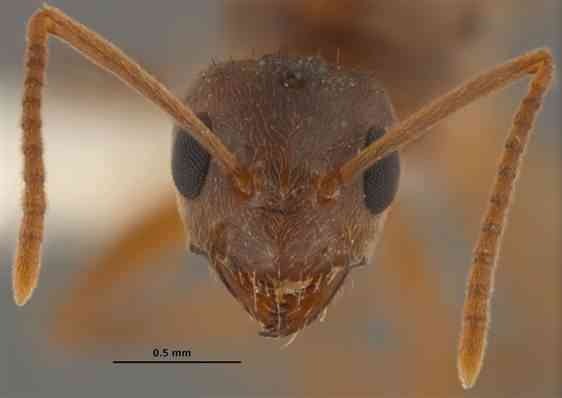 Eradication teams have nabbed 10,000 of these invaders so far. By Arian Campos-Flores, The Wall Street Journal (10/4/11). Scientist shares Nobel for amazing discoveries of how the universe works. By Gregg Easterbrook, theatlantic.com (10/4/11). Expedition triggered by rash of sightings east of Moscow. BBC News (10/4/11).